A lot of fantastic websites (and products, services, ideas, etc.) are in something of a pickle: The keywords they would normally think to target get next to no search volume. It can make SEO seem like a lost cause. 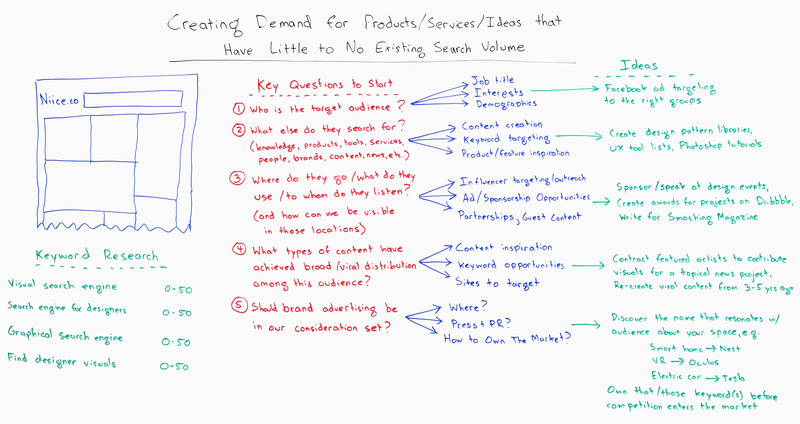 In today's Whiteboard Friday, Rand explains why that's not the case, and talks about the one extra step that'll help those organizations create the demand they want.